Join the discussion on our forums! 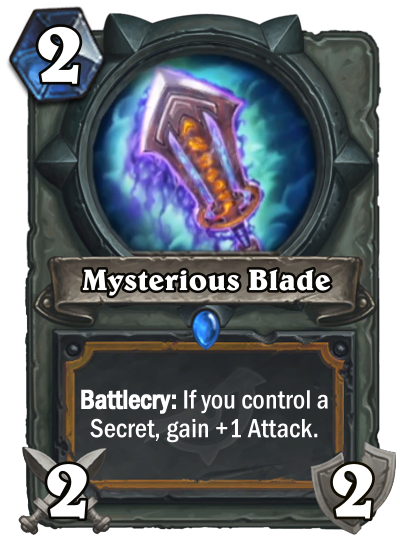 Come discuss Mysterious Blade over in our dedicated Mysterious Blade discussion topic. Battlecry: If you control a Secret, gain +1 Attack. It knows every secret you have left. Mysterious Challenger's weapon of choice! This is probably what pushes Secret Paladin from being a decent deck after the rotation to being a scary one.